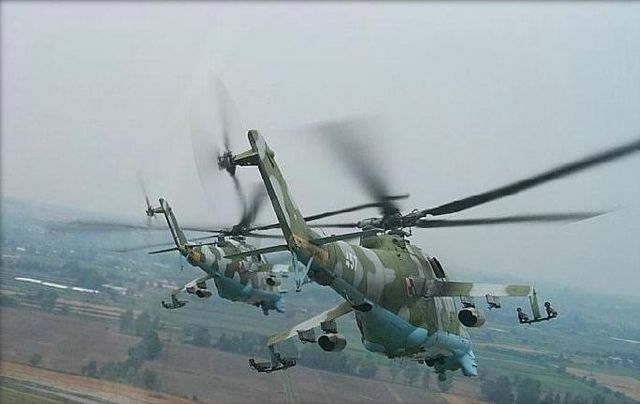 This is Russian helicopter MI-24, but these particular are from Polish army. Poland during Soviet era was buying a lot of weapons from Soviet Union. In Russia pilots call it “The Crocodile” because some of it’s form resemble some reptile according to their point of view. 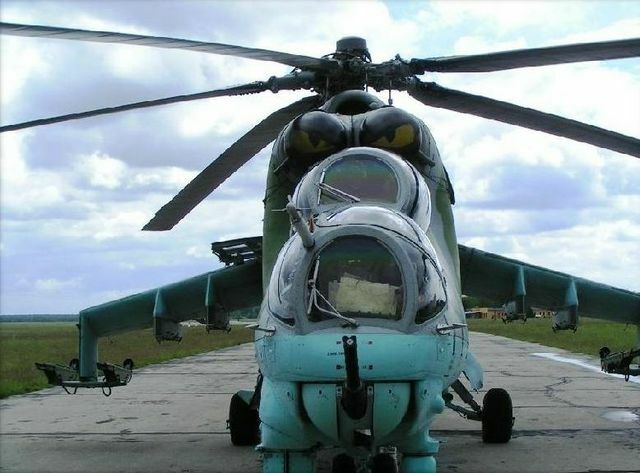 So this Polish pilots decided to go further and drew reptile eyes on their helicopters, so now the crocodile analogy can be seen even more precisely. Cool, but the Flying Tigers of WWII had a much nicer scheme on their aircraft. I someone dosen’t know, we are in NATO since 1999 and we buy some F16 from US Army. But helicopters are still the same.. Reminds me more of a dragonfly than a croc. Renton’s comment is nice to hear; it would be nice if Russia and the slavic nations she once dominated could put their hatreds aside. The Soviets did much damage to Ukrainians and Poles (and Latvians, and. . .), but the Soviets did a lot of damage to the Russians themselves, too. the problem is Russians don’t want to get rid of the soviet mentality. They love USSR times. Arn’t they? See the checkerboard painted at the fuselage? That ain’t Monaco nor Indonesia. zxc, if you look carefully in the pictures, closelly to the rocket pod wings, you’ll see a square, red and white, with four squares inside. One of the best chopper’s of their time. actually this is very common in modern helos to cover intake agains birds and in order to reduce both heat and noise signature. most of the helicopters have this part carefully engineered. this is not village BMW tuning, not in aviation. Acts_of_Atrocity, these are indeed air intakes, but they have dust-blocking devices normally installed on them – this is where the eyes are painted. By the way, these eyes are not only for decoration but also to prevent bird strikes – scares them away. CoOoL!Nice SLAYER!It’s Like a Nemo:))But Really CloWn! color scheme could use a little work, like vivid colors or just red and white but clean and vivid. 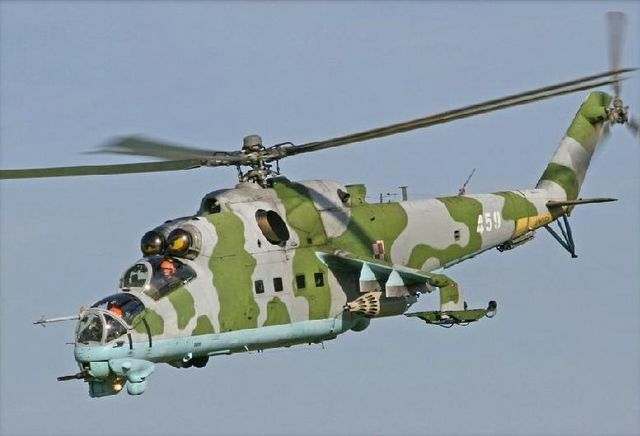 although the mi-24 has an air to air capability, it’s no match even against an old f-86 saber or mig 15 but it makes up for this inability with extraordinary anti helicopter and unbeatable ground attack/assault capabilities. If the poles are smart their gonna go and do what Pakistan went and did, buy the best aircraft from different countries, then equip them with the best electronics in existence from France… and say if Poland was to be invaded by Germany or whoever they’d not only defend the first wave but most likely send that top notch air force to their aggressive neighbor and well, you people get the idea… use your imagination. P.S stealth has no meaning on a battle field if the gunner can see you with his eyes and with his infrared camera. Soviet mentality is not Soviet government mentality. Don’t blame the people. Thats the killer of the sky or the flying fortress as nato forces call it…. check the word POLISH, still no? 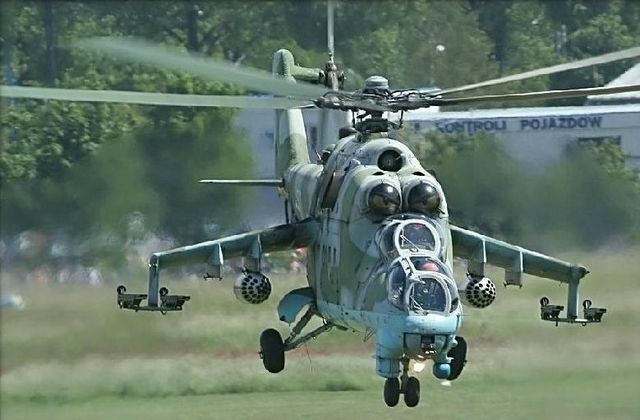 and no, Mi-24 chosen mainly due to their cruise speed. because 24 designed mainly for Airborne Assailt troops[“ДШБ”, suscessors of “[М]ШИСБР” from WWII-era, but airborne and have CAS due to Subj capabilities]. or in short – because seconds matter like NOTHING more on modern battlefield[especially for those units(disbanded now]. in other key aspects, incuding operational radius, altitude noise profile, protection, avionics, firepower[and even more precise with same as 24’s, parts], Ka-29F is FAR Superior. Countries of the Warsaw Pact didn’t buy anything from USSR.